Mar20 Comments Off on The team of Department of Information and Library Science, expresses warmest congratulations to the collaborators of Faculty of Economic Sciences on the occasion of Economist Professional Day! 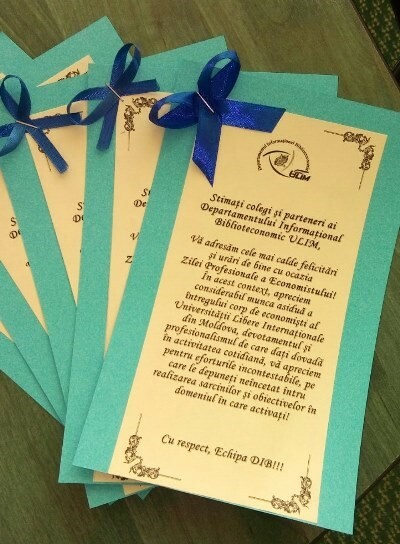 The team of Department of Information and Library Science, expresses warmest congratulations to the collaborators of Faculty of Economic Sciences on the occasion of Economist Professional Day! We express you our warmest congratulations and best wishes on Economist Professional Day! 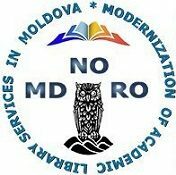 In this sense, we appreciate a lot the hard work of the whole team of economists from our Free International University of Moldova, the devotion and professionalism that you show in your daily activity, we appreciate your indisputable efforts that you continually apply for realization of goals and objectives in your professional activity! Respectfully, Team of Department of Information and Library Science!